On our recent trip to Taiwan, we stopped at “Yung Ho Restaurant” in the Linkou District of New Taipei City for traditional Taiwanese breakfast food. This place (a popular Taiwanese chain) is open from the evening all the way through late morning – but closed during the afternoon (when they make all the food for the next day). I often wish we had a Taiwanese breakfast place here… but unless you feel like driving up to Irvine or LA… there isn’t much unless you make it yourself at home! One of my husband’s favorite things to eat is “Dan Bing” – a savory pancake (sort of like a tortilla) filled with a green onion omelet – usually eaten dipped in a little bit of soy sauce. I think this was my favorite meal on that trip – about $10 total for: 3 bowls of soy milk, 2 orders of Dan Bing, fried green onion pancakes, pork dumplings, and a fried cruller. 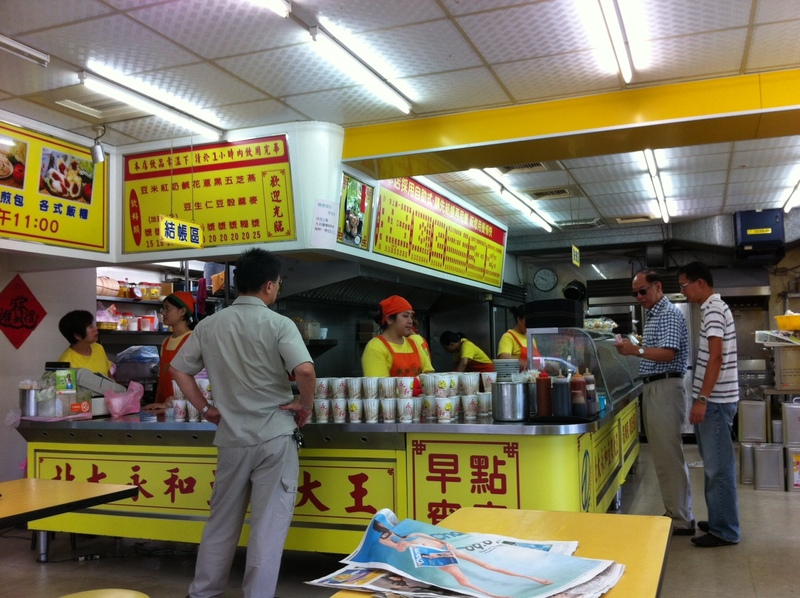 We do have a soy milk machine (see my post on how to make soy milk without a machine)… so now we can eat Taiwanese breakfast anytime (as long as I can figure out how to make the rest of the breakfast foods). 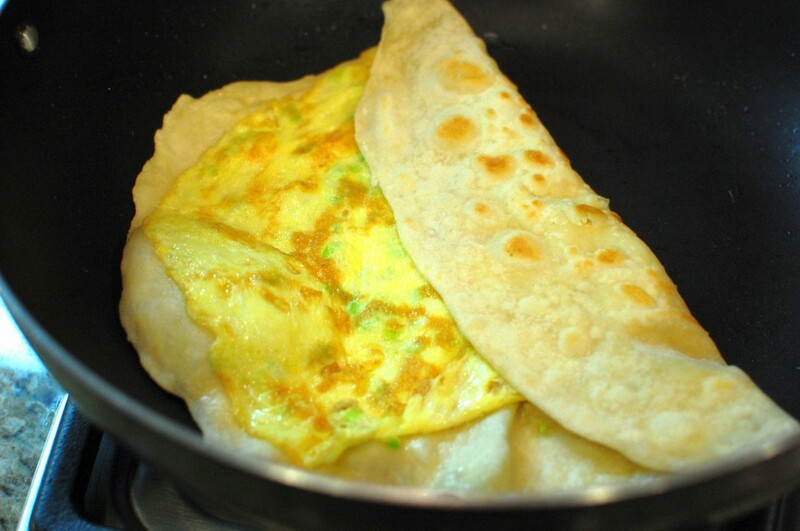 These pancakes (Dan Bing) are pretty easy to make and don’t require any unusual ingredients – just flour, oil, water and eggs! 1. Mix the flour with the salt. Add the oil and water. 2. 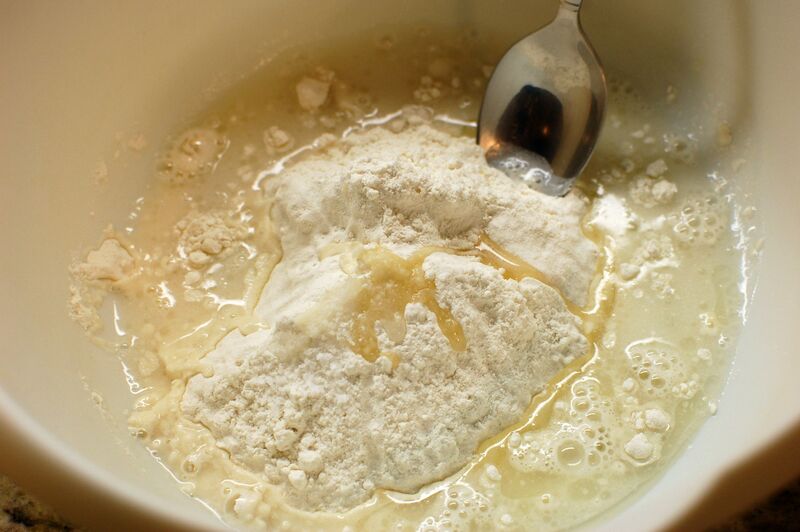 Mix, then knead into a smooth dough. 3. Divide the dough in half, and using a little bit of flour to prevent sticking, roll each half out to a 10-12 inch circle. 5. Heat a little bit of oil in a large wok or frying pan, on medium high (if the pan becomes too hot, turn it down to medium). 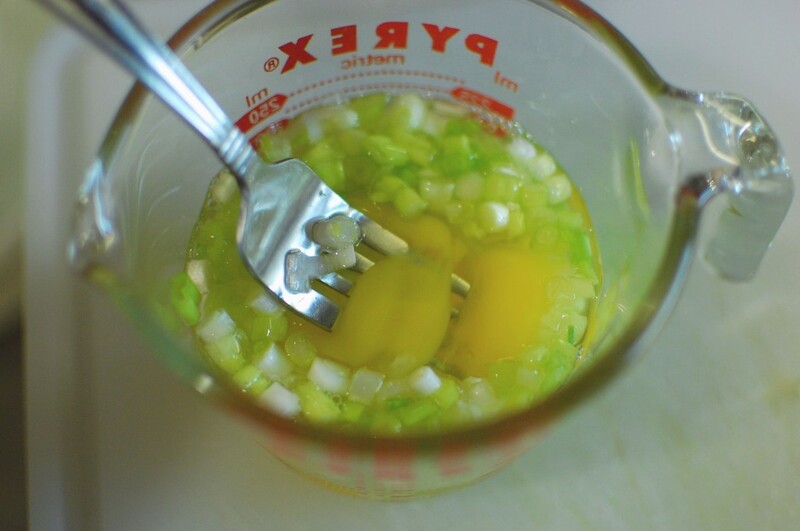 Add half the egg mixture (about 1/2 c.). Allow to cook for about 30 seconds. 6. 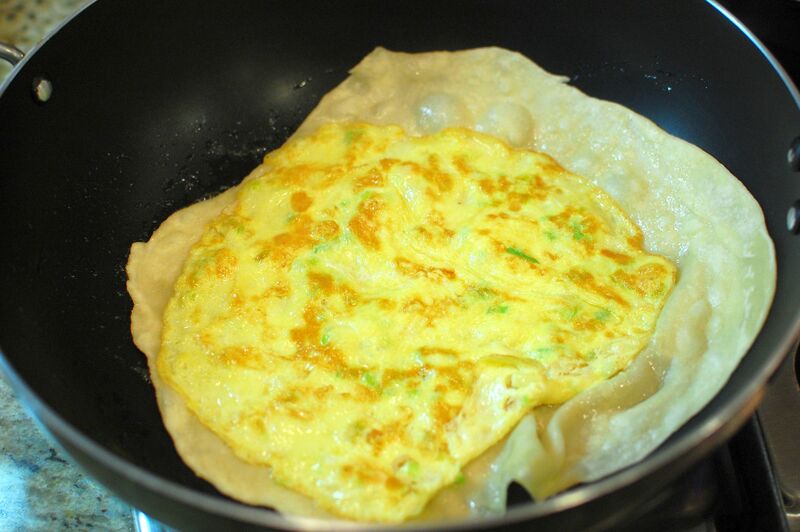 Cover the cooking egg mixture with one circle of rolled out dough. Allow to cook another 30 seconds until the egg mixture appears to be set and not watery. 7. 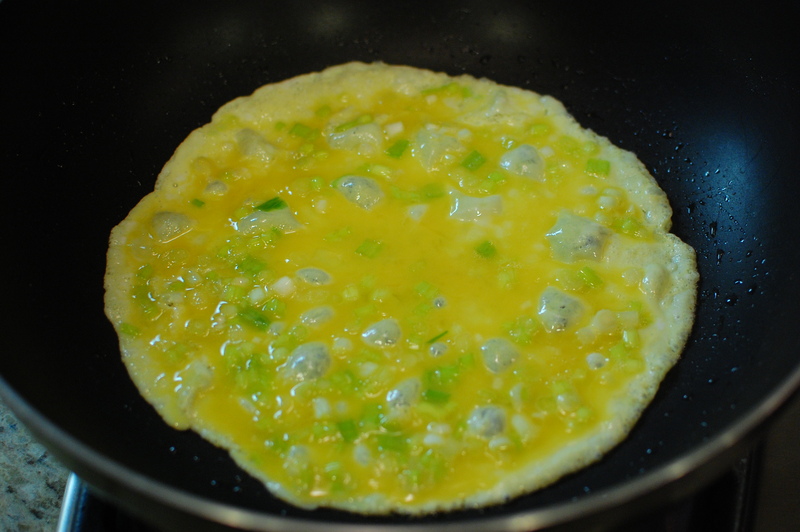 Flip the entire pancake over, so that the dough is now cooking and the egg on top. Continue to cook for 1 more minute until the dough is cooked. 8. 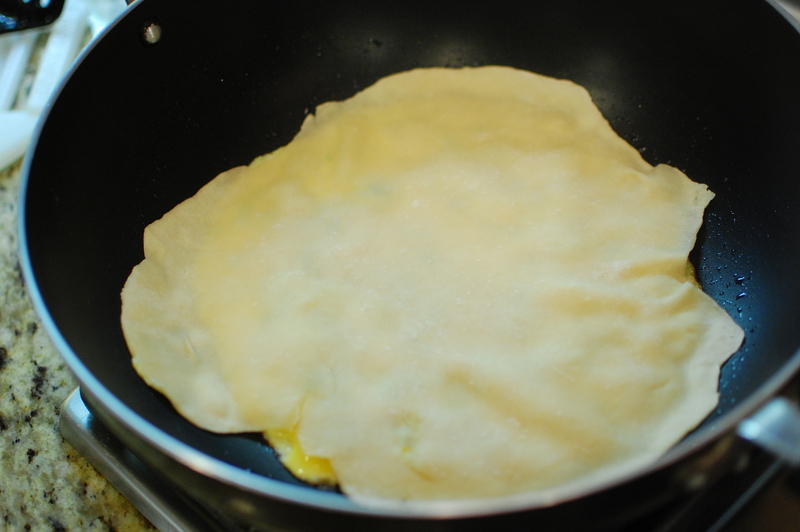 Fold the pancake in thirds, then set aside on a plate (cover too keep warm while you cook the second pancake). Is it that quick to cook the dough (~1 minute)? Also does the egg sticks to the dough ? Can’t wait for your soy milk recipe. 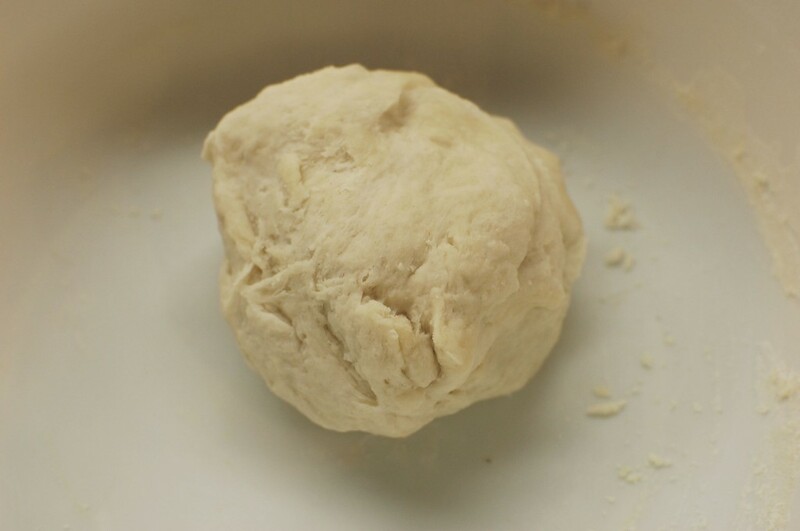 Yes, the dough cooks very quickly – you don’t want to cook it too long otherwise it will get hard. Unfortunately, our trip to Taiwan was very short… so we didn’t have a lot of time to go shopping. I will probably post more bread recipes in the future! Thanks, Mika, for posting this recipe! I made this last night. 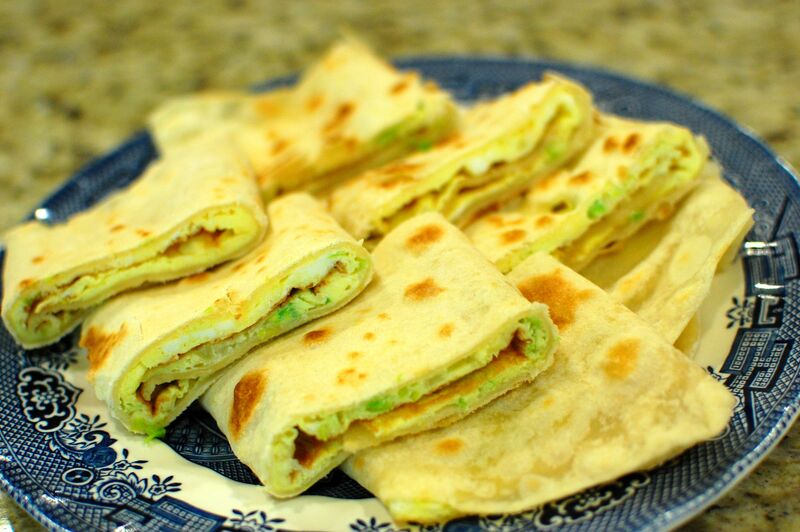 It was so easy to make and very delicious. I’m excited to see your future bread recipe posts! Use more oil in the pan than the recipe says. WAY more oil. The recipe says medium high/medium – use high, high heat. 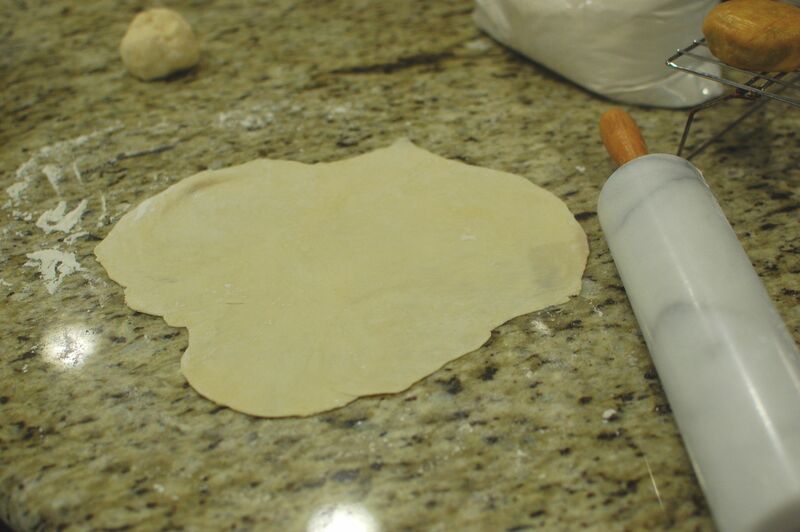 Maybe cut the dough section in half, as your dough will not be nearly as thin as pictured when 10-12 inches. Sorry, I’m not a computer person. I have searched for the email you provided in your comment, and do not see you signed up as a subscriber… so there isn’t anything for me to delete. If you can forward me the 3 emails you get to me: mika@the350DegreeOven.com, I will try to figure out why this is happening and fix it. Wow, you paid at least double of what you should have paid. 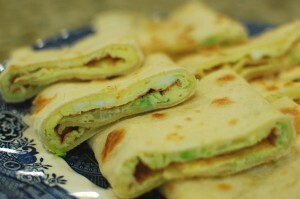 As a foreigner living in Taiwan, if I don’t make breakfast myself, I usually buy for 3 people, and I spend less than $3.00 US buying a couple of Dan Bing, steamed bread with egg, drinks and maybe some fried dumplings. You got taken. 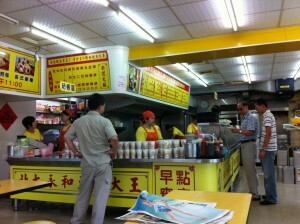 Go to a local momNpop for breakfast, the food is probably better and a hell of a lot cheaper. I’m sure we could have found a cheaper price. But I REALLY wanted to go to Yung Ho!